But if you don’t want to rely just on batteries alone, you really need a baby swing with an AC adapter. We did the research, and have one good and one bad news for you. The good news is – they exist. The bad news – there’s just one product which is both super portable and has an AC adapter. If you don’t need a portable one, then there’s plenty of baby swings to choose from. Awesome baby swing for travelling! For on the go parents who need to bring their little tyke to special trips or visits to families often, an innovative and practical solution is the Ingenuity Power Adapt Portable Swing. 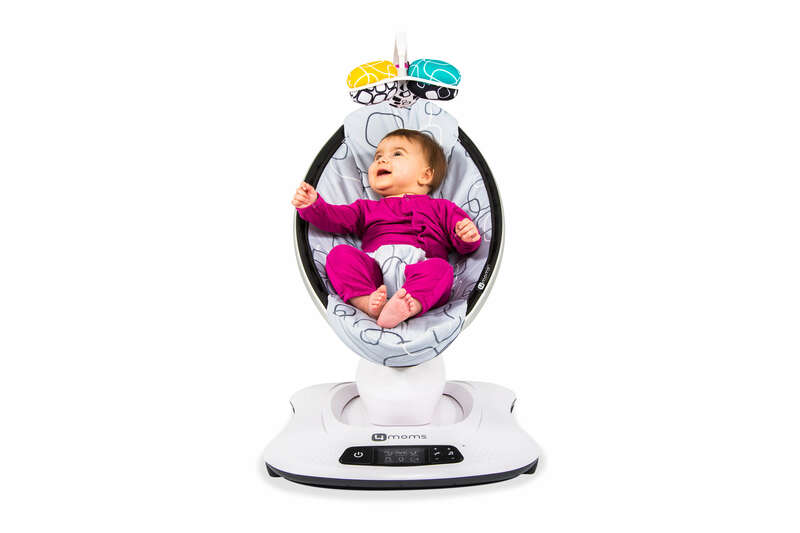 This is a portable baby swing that you can either plug in or use batteries. It’s lightweight and convenient without sacrificing performance and quality. Let’s take a closer look at its features. The Ingenuity Power Adapt Portable Swing is quite portable and compact, weighing only 14.3 pounds. It has all the features of a full-size baby swing and it’s very convenient to carry. This can fit most trunks, even small cars so it’s great for starting families. It’s also perfect for those who live in small apartments or who have limited spaces in their bedroom. The swing is easy to fold and easy to carry even with one hand with its convenient carry handle. It’s also easy to assemble. 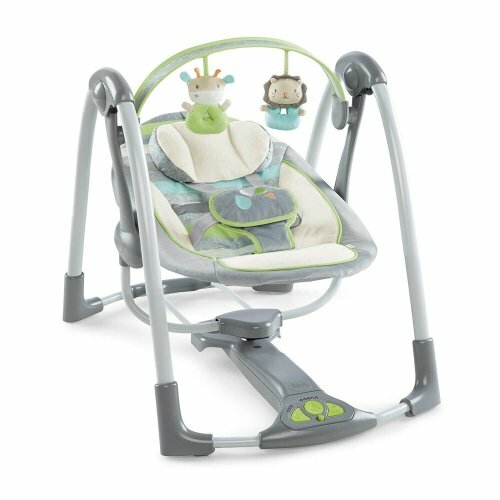 The unique feature of this baby swing is that it operates on either batteries or the included AC adapter. If you happen to be traveling and are nowhere near an outlet or wall socket, you can simply switch to battery power and your baby can rest comfortably on the swing. When you’re at home, you can plug it in to save batteries or charge them if they’re rechargeable. You can set a timer for the swing. There are three settings for you to choose from. You can set it to 30 minutes, 45 minutes, or 60 minutes of continuous swinging. This is great so your baby can sleep quietly in place after some time in the swing. This setting can be easily adjusted on the simple control panel on the bottom of the swing. It has 4 simple buttons that let you adjust the time and the music. This swing plays soothing sounds to keep your baby calm or entertained. It features 8 melodies and relaxing nature sounds. There is a toy bar on top of the swing that hangs plush animal toys that your little one can play with when they’re up and about. 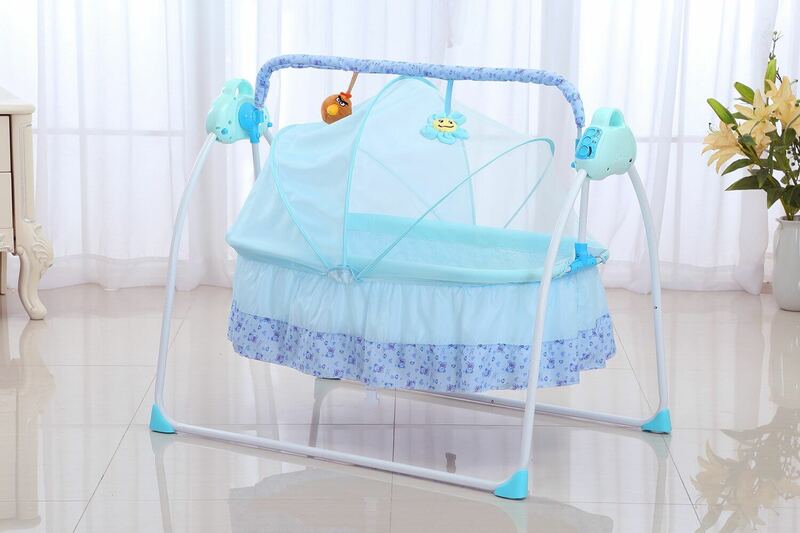 Best of all, the swing features quiet operation so the swinging motion does not interfere with the music, especially when your child is sleeping. The baby swing is designed with a headrest to fully support younger babies. This headrest is removable to accommodate growing babies so your child can use this swing for many years. The harness is also padded for extra comfort. The Ingenuity Power Adapt Portable Swing is a great solution for families who travel a lot. It has a convenience of a compact swing with all the features of a full-size model – for example, an AC adapter.